One man death metal projects are always very interesting to me. Rather than representing the sort of fascinating collaborative effort that defines any band they approach a different side of the human psyche. The sense of extreme isolation. Justin Pierrot, the bands mastermind is the perfect example of this, living in Northwestern Canada and operating by his own rules. One man death metal projects reflect both the talents and shortcomings of the composer. 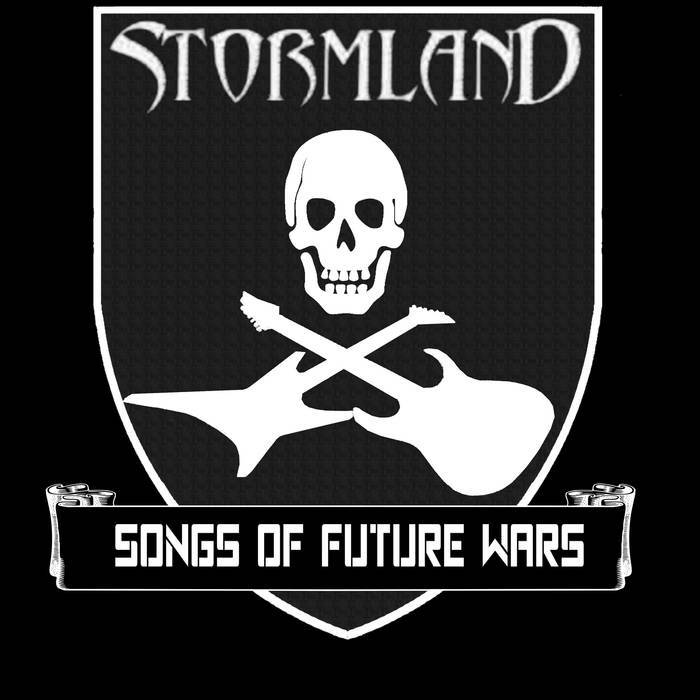 They can be fascinating but also twisted, and such is the case with Stormland's latest offering Songs Of Future Wars. While this record has some serious strong points, the riffs, the melodic hooks and the general bitterness I also find myself questioning some of the soloing which just feels out of place. AS a general rule the songwriting here is pretty strong, self aware and rarely overambitious. These are all very important things an frequent shortcomings of these sorts of projects. Hwoever what Stormland does fall into is some weaker execution. The solos have clear direction but the delivery feels a little bit hackneyed at time. The 'rock and roll' vibe that is being sought out actually feels a little out of place especially given the wonderful brutality of the riffs. Despite suffering from some poor execution though, Songs Of Future Wars is a fun listen through and through. The blasting drums and chaotic screams on the outtro of Ideological Paralysis speak to a sense of torment and terror that serves to make this album all the more exciting. Meanwhile brooding intros are nicely counterbalanced with some neck breaking guitar playing. A truly pointed record, it's exciting to listen to solo projects that are so clearly committed to self improvement, and this band seems to only grow with every passing release.